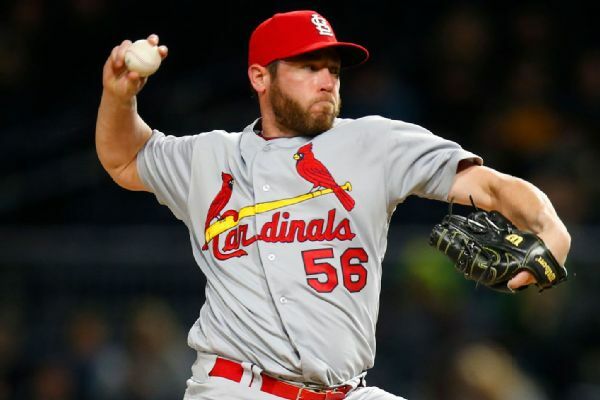 The Cardinals are parting ways with reliever Greg Holland, who has a 7.92 ERA this season after signing a one-year deal for $14 million this past offseason. 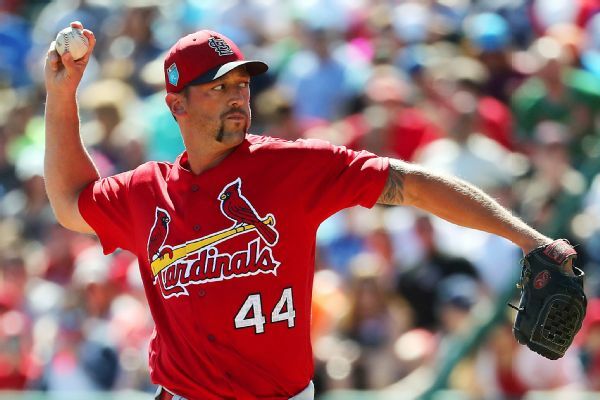 St. Louis closer Luke Gregerson will begin the season on the disabled list with a hamstring strain, manager Mike Matheny said on Saturday. 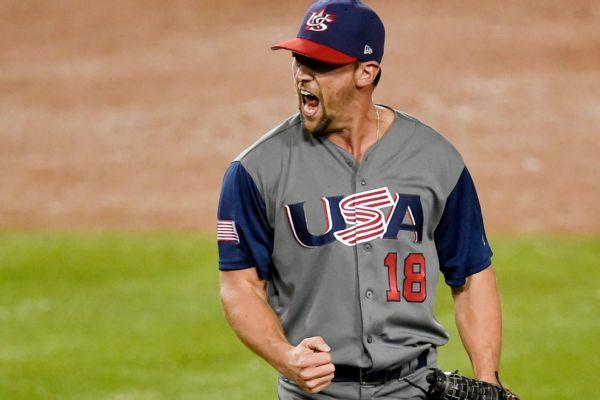 Over 10 years ago, pitcher Luke Gregerson got his first taste of spring training while a prospect with a Cardinals and now he's back with the team and entering the spring penciled in as the team's closer. 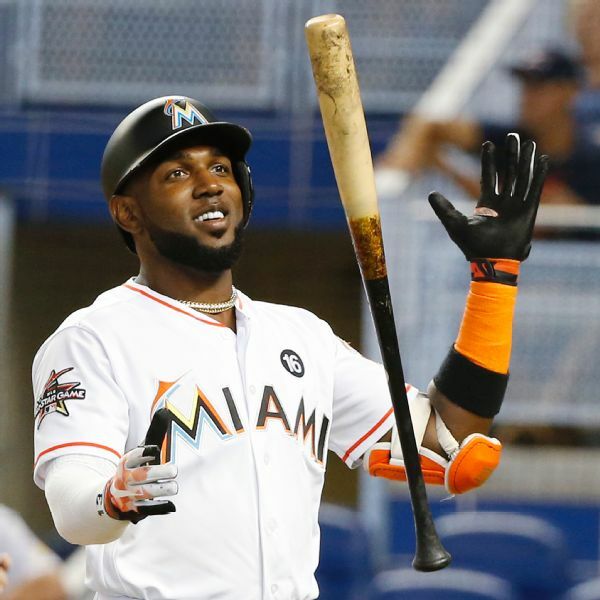 The St. Louis Cardinals have agreed to a one-year, $9 million contract with newly acquired outfielder Marcell Ozuna, avoiding arbitration. 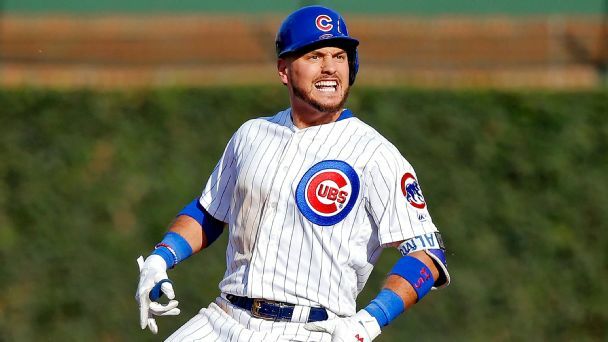 With Albert Almora Jr. outperforming Kyle Schwarber, and Addison Russell back, Joe Maddon's lineup problems (if a luxury) are only getting worse. 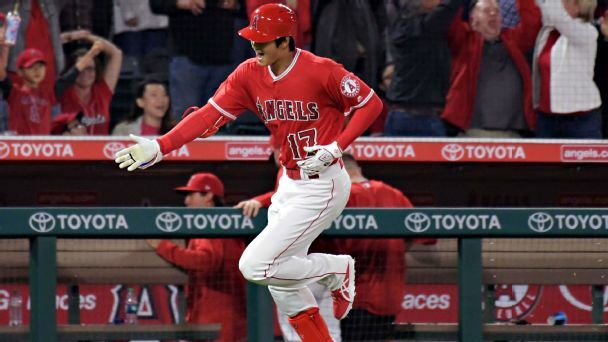 Bernie Miklasz of 101 ESPN talks about the injury to closer Trevor Rosenthal and explains why the Cardinals should not opt for closer-by-committee while he's out. 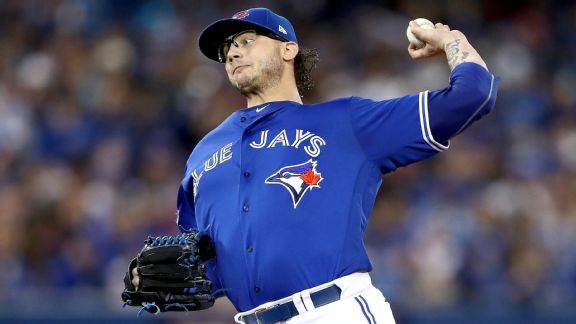 Signing lefty Brett Cecil to a four-year, $30.5 million deal isn't just a fix for next season. It's the Cardinals' adapting to what works in October. 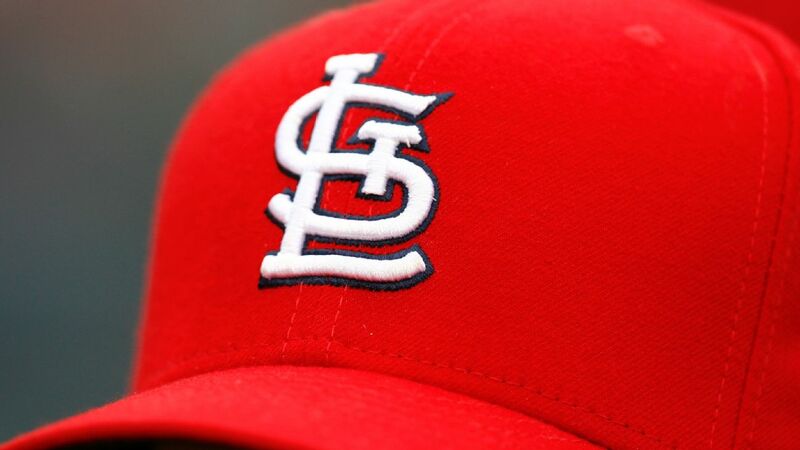 Securing a left-handed pitcher will reportedly be a high priority for the St. Louis Cardinals this offseason.